An exhortation to ministers to study rightly and take the time to prepare sermons effectively and biblically. How does one go about studying the Bible? Are pastors following the proper orthodox steps to do this? Paul’s Charge to Timothy is important for the Preacher to hear, for it is a charge to them as well. Timothy is charged to exert, give diligence, or “study” the Word of God. The Greek term is “spoodadzo” which is used only once in the New Testament in this manner. It is more than a mere force of diligence, but carries with it, or denotes, a moral concern to be approved. Here, Timothy’s character is at stake. Paul is admonishing Timothy based on his previous statement in 2Timothy 2:1, “Be strong in the grace that is in Christ Jesus.” Timothy’s conduct is to be outwardly seen and distinguishable as the grace of Christ Jesus before all men and the church. Paul himself does all for Christ and for the elect. Timothy is to do the same as a good soldier in Christ Jesus. The passage of 2:15 is dropped into a military list of pastoral duties. Did you know pastors were soldiers in Christ’s army? Their character is on the line as good soldiers of the army of the King. Timothy is to “seauton dokimos parastasai to theow” – to present himself approved before God. The word “paristemi” means to present a person for another to see and question. Here, interestingly enough, Timothy is to present himself (seauton), not someone else; neither is Paul going to present Timothy. As with all pastors, Timothy is going to work before God, and then based on that work, present himself to God under judgment. The key concept here is that Timothy will present himself before the judgment seat of God. How will he fair in the end? Timothy will present himself as an “ergates” a workman or a laborer. The meaning often surrounds one who works for hire. In a sense, like one who is self employed and must maintain a constant discipline before God, Timothy is under hire for God as a preacher, or a herald. But though God has “hired” him, he is still commissioned to work diligently on his own. His task is quite great, and his diligence will determine his effectiveness. He is hired out by God to bring the Word of God to the people of God. He is enlisted as a soldier, but works as workman for hire. This is in contrast to the context of the passage surrounding some false teachers who are “idle chatterers.” They are not discipled. They are not diligent. Timothy is to demonstrate his personal disciple before God that he may be effectively used by God for the good of the Ephesian brethren. Timothy is not to be “ashamed.” The word “anepaischuntos” is a negative participle. It means, “have no cause to be ashamed,” and it comes from a word meaning “to dishonor.” It is used in this context alone. Paul is charging Timothy to realize his position before God as a soldier and a workman. The honor of the king is at stake, and his service before Christ will either demonstrate honor to the King or shame for both he and the name of the King. What will Timothy do? What is this soldier, this workman, to actually do? What has Paul encouraged, or commanded, him to do? He is to diligently study to “opthotomeo” “to cut straight,” or “to handle correctly” the Word of Truth. It is interesting that the Old Testament word berith means “to cut a covenant.” Here, Paul admonishes Timothy to “cut rightly” the truth, or to handle it correctly. There seems to be a hint that Timothy is to have straight in his mind the redemptive purposes of God in the Bible. In cutting it this way, or rightly dividing it, there may be some allusions to the continuity of the Old Testament and New Testament redemptive witness. However, Paul places this “handling” in the context of the “ton logon tas alatheias,” the Word of Truth. In contrast to false teachers, Timothy is to handle the Word of Truth correctly both to preach it and live it out. It is a moral charge as an office bearer, a soldier who begins as a workman. This charge is most assuredly applicable to pastors in that they handle the Word of Truth correctly. The truth of the text sets a person free; not half-truths, or lies. This means that the Pastor must give great priority and diligence to study and preparation in order to preach the Word of Truth correctly, and live it out before all the people. There is a great myth surrounding the Bible in general, even in the realm of pastoral theology. Some think that, “The Bible is so difficult to understand that only highly skilled theologians with technical training can deal with it.” This is true to some extent, and not true. Pastors should be highly trained theologians who can deal with the text. If pastors are unable to deal with the text, how can they “handle it rightly?” But at the same time, even the ploughboy can understand the clearly articulated statements of salvation and historical narrative, and glean application from it. There is no excuse for a man to stand up before the congregation and rant and rave about an emotional topic, and to disregard the text of the Bible. Emotionalism does not change lives, though sadly, many Christian pursue it. It is the meaning behind that text that should be in view. However, there is also the danger of “subjectivism.” “What do I want it to say, or what do I think it says?” This is dangerous. This is mishandling the Word of God. Rather, preachers should say, “What does the text tell me?” Here we see the priority of the text coming to light. Focus on the text, the text, the text! You study to show yourself approved. This approval is “unto God.” It surrounds your ability “to be a workman.” This workman is not to be “ashamed.” And he is “to rightly handle the Word of Truth.” The message is clear for everyone who calls themselves preachers. But how is all this done? The Preacher’s task is to handling the Word correctly. Not “somewhat correctly,” or “kinda correctly.” What exactly does “correctly handle” mean? Here is where we begin to look at the Principles of Interpretation, or Exposition. Exposition means to Exposit or explain a passage of the Bible. It is where the Preacher must have a readied awareness to allow the text to teach their congregation. It is not that the Preacher says, “I’m telling you that you should X, Y, and Z.” No, the Word of God must tell them, and the workman, at that point, is the soldier heralding the commands of the King to the subjects of the King. It is giving the message of the Bible to the people of God. Expository preachers, like Timothy and Paul, are those convinced that God’s mind can be found and applied in the Bible. Preachers should not be interested in simply stating facts, but how the Bible, the text, is applied to the life of the congregation. It should surround questions like, “What does it say?” “What does it mean?” “How will it transform sinners into saints?” It guides the preacher to substantiate the motive for their lives and for the lives of the people from the text of the Bible. One of the most important tools one has in preaching is their first finger. Not that they are shaking that first finger at the congregation, but their first finger should be placed on their biblical text, or focus text, and they should never lift it off. They should stick to the text, and expound the text, applying the text to the life of the people. It surrounds this key question, “What may I, with the authority of God’s Word, require of you as a result of what we discern this text means?” That moves the preacher to demonstrate how this text will change the lives of the congregation. How does a preacher expound or study a text to create an Expository sermon? Preachers utilize the science and method of interpreting the Bible to do this. It is called “Hermeneutics.” This may be a “big word” but it is simple to understand. It originally comes from Greek, and the name of the messenger “god” Hermes who delivered “messages.” He made the mind of the “gods” known to the people. Hermeneutics establishes the guidelines and rules for interpretation. But one might ask, “Why do we need guidelines?” Let me give you an example. Origin, a genius in the early church, neglected to properly utilized hermeneutics in a number of places in his writings on the Bible. He favored, in many respects, the allegorical method. In this, he took passages like “historical narrative” and applied “allegory” to them. Instead of finding out what the passage would have meant to the audience when it was written, or by whom it was written, Origen often applied the passages to the contemporaries of his day by allegorically changing the meaning of the text. This is not good practice. As a result, Origen, as much of a genius as he was, was also quite heretical in a number of doctrines. Preachers must be exceedingly careful that they follow the basic guidelines of proper biblical interpretation in order to arrive at the meaning of the text as the writers purposed it; and as the Holy Spirit intended it. Every passage, simply stated, has its own meaning which can be drawn from the text. Every preacher, if they studied diligently, would come out with the same meaning behind each text. It is simply a result of sin, or poor study, that they do not. When a preacher runs into a difficult text, a portion that may be obscured or difficult to understand, they will utilize the tool of the Analogy of Scripture. This is the rule that Scripture shall interpret Scripture. This seems almost common sense to say. It is the common sense rules that help the preacher determine the exact meaning of the text he is dealing with. This idea that Scripture interprets Scripture rests on its being the “inspired Word of God.” If Scripture is not the inspired Word of God, then there is no need to apply sound hermeneutics, and consequently, there is no need to read articles like this one in exhortation of proper biblical interpretation. The Context of any Biblical Passage is of utmost importance when one begins to study. The Preacher must consider the context as part of any text. The context of the verses, the book, the testament, the Bible is all-important in understanding the passage itself. That means reading and rereading the text in its context is essential. The context will help dictate what a text means. It will help the Preacher know what concerns caused the text to be written. Preachers should also observe the historical, cultural and literary context. First, the historical context helps us to determine not only what we want to know about the words Paul uses with Timothy, but how those words function in the broader context of the Bible. It is the history of the word in its historical context. When Paul uses the words “correctly handle”, what did that mean to him? In the historical context it may mean something quite different than in the 21st century. Second, the cultural context is often invaluable as well. What do these words mean in the context of Paul’s culture? For example, a “soldier” in Paul’s mind is not the same as a soldier in the mind of today’s preacher. In Paul’s mind a soldier wore leather, carried a sword, and rode on a horse. In today’s context a soldier wears fatigues, carries a gun, and rides in a tank or helicopter. Much of the time, this is one of the most difficult bridges to cross over. How do preachers span back 2000 years into New Testament times to understand the culture of the New Testament? Context always helps here. There is also, thirdly, the literary context of a passage. Is Paul writing poetry? Prophecy? Proverbs? History, or is it prose? Paul wrote a letter to Timothy, which makes this writing prose. However, in his letter he may quote poetry, or quote a proverb, but that is where preachers must distinguish the context. This will have radical implications on the meaning of any text. After context, the Fallen Condition Focus should be found. This has been well documented in Bryan Chapell’s book, “Christ Centered Preaching.” It is taught to seminary students as absolutely critical; and that is an understatement. The Fallen Condition Focus is more than exceedingly important. It is one of the main reasons why preachers preach. It also pushes the preacher to have a clearly organized message. What the FCF does is consider the Redemptive Context of a given passage. How does this passage fit into the entire context of Scripture in its Redemptive Purpose? Preachers have to ask that question, every time they deal with a text. Why? The reason revolves around this question, “How does this text tell us something about the meaning or need of Salvation?” The Bible is God’s record of redemption of men. Not every verse will mention salvation or redemption, or even name the name of Jesus. 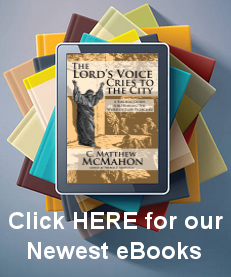 But every verse is set in the broader context of how God saves men. So we ask, “What does Paul’s exhortation to Timothy do in terms of revealing God’s will for His children in light of their salvation?” Paul says in 1 Corinthians 1:23, “but we preach Christ crucified…” Does that mean every sermon or ever passage has to name the name of Jesus Christ? 1 Corinthians 2:2 says, “For I determined not to know anything among you except Jesus Christ and Him crucified.” Is this how Paul preached? Does he “name the name” of Jesus in every verse? No. But he does fit every verse in the broader scope of Redemption in every epistle. Here we see Christ as central to every message in some redemptive way. Good preachers do not simply wedge Jesus Christ into the end of a message. They find the Fallen Condition Focus and then determine the function that Scripture serves in the battle between the Son and the serpent. After Preachers have established the Context and FCF, next they move onto formal exegesis. This is where they find out what words mean and how they are used grammatically. This is language work in dealing with Hebrew and Greek. The word Exegesis means to “draw out.” Again, when dealing with a passage the preacher does not say “What do I think this says?” but rather, “What does it say.” Here the tense, mood, grammar and syntax are considered. The preacher is involved with the Syntactical-theological Method. This is the relationship that various words have to one another in their original language. The Grammar Principle that helps the preacher determine how grammar affects the meaning of phrases and clauses. The Syntactical Analysis where the preacher learns how a relationship of words affects meaning to other phrases and other word groupings. The Verbal Analysis where key word studies are accomplished to be familiar with root work, derivatives, the frequencies of key words, and the like. The Theological Analysis of key words that takes place. Here the history of key words is studied and how they dictate theology. Theological Analysis is actually quite important after all the language work is done. Exegesis is one thing (to find out the precise meaning of the words and phrases) but even after the preacher has translated everything correctly, and understands the words of the passage, he may still have to theologically analyze those words to find out what the writer intended or meant in the context of Biblical theology. Here the preacher will find out how language barriers are helped by theological interpretation. Also, the preacher will want to engage in overcoming translation difficulties. This may not always be applicable, but various translations of the Bible may help in determining a word of phrase that various manuscripts have textural problems with. The ending of Mark 16 is a good example of this. In determining the overall study of that passage (snakes, poison and the like), the preacher may determine how that text relates to the rest of the book, whether it was a gloss, what implications does it affect on other doctrines of the bible, etc. Pastors who know the Biblical languages will have an easier time in pinpointing what the words mean. That does not mean that Pastors who do not know Greek or Hebrew should give up, or have an excuse to disregard learning Hebrew or Greek. Yet, there are a number of language helps that can guide you while you study to learn the languages. Language helps today run from software programs, to Internet websites, to solid books that direct the preacher to deal and interact with the text to the extent of his knowledge. However, every preacher should desire to become familiar enough with the original language to work responsibly, and unashamed, with the text. Why should they be familiar with Hebrew and Greek? Even the best translations of the Bible into our own languages do not capture the flavor of many Greek and Hebrew words. For instance, in 2 Tim. 2:15 the words “cut a straight path” and “handle correctly” are vital to understanding the passage as a whole. How would we know this, or understand this, unless we knew what the words meant? How could we intelligibly communicate the meaning if we don’t understand it? A very helpful way to begin dealing with the text exegetically, especially for those who do not know the languages well, is to outline the passage. This is called the Mechanical Layout of the passage and it stresses the order and use of words. This will help with the thought development and identify key words to study. But there is no substitute for knowledge of the languages, and every preacher should know them. The Preacher must also remember that not everything found in exegetical work is helpful for the congregation, but is always helpful to the preacher in establishing a text. There are exegetical points about this passage that I have not told you. Preachers should share the fruit of their labors not the sweat. For example, you really do not care about the stress or accent of a phrase or word group in 2 Timothy 2:15 at this point in the article. It was important to me while studying, but not to you. Even in the early stages of exegetical work you must be thinking about the congregation. What will this all mean to Harry, Sally or Bob? Never pontificate. Greek and Hebrew work may not be necessary in the explanation of the sermon. After we have the context and the exegetical work done on words, phrases and interrelationships of those phrases (which sometimes will take a day or two to handle correctly), we move onto Homiletics. That answers the question of, “How do I present what the text says?” Here is where the preacher is going to develop his sermon. He will state the text in simple to understand language, giving the overall picture of its meaning. When a preacher communicates a message in a sermon they should strive for three things, 1) Unity, 2) Brevity and 3) Harmony. In dealing with unity, the whole sermon should interlock together to form one concise point. The sermon is about one thing. Think of the great preachers of history. Sermons are about communicating a single important truth from a single passage of Scripture. Then there is the need for preciseness, or brevity. Your listeners cannot back up and listen to the sermon again. The points of a sermon that substantiate the whole sermon should be stated concisely. Then, the most difficult of all is the harmony of the sermon. All main points explain the main idea. Oftentimes congregations are blasted with three or four points where each of those points should have been one sermon each. How much can people remember? Next is the Main Point or “Proposition.” Sermons are built on points or “propositions;” a ““proposition” is a statement of the subject that the preacher proposes to develop.” (Chappell’s definition, and a good one.) For example: I would rather say, “Diligent Pastors that handle the Word of Truth correctly will be approved by God.” Than say, “Bad preachers don’t handle God’s Word correctly and are shamed by God and judged harshly.” How do you react to the two? Wording Main Points from the Text is critical work in the sermon. Preachers must choose their propositions wisely based on what the text teaches them. Otherwise, the manner in which they choose their words can affect the overall scope of their ministry. The effect of negativity improperly used will be a negative ministry overall. Next is the sub-point demonstrating the main point. Its sub-points you are speaking about should always support the Main Point. They are the details on why the Main Point is so important, i.e. the Main point! They make up the body of the sermon that guides the mind to grasp the point you want your listeners to walk away with. For instance, Christians should leave each sermon with a gem of instruction – one thing that they can put into their Christian bag of gems. When they need it, they can open their bag of gems (their mind) and pick out the proper gem for the proper situation. Clear, concise, precise exposition will hand over valuable Scriptural gems every time. Sermons should never be three poems and a prayer. But, illustrations are quite important. There was a chicken and a pig that were walking down the street together when they passed the neighborhood restaurant. The sign said “Ham and eggs – $1.99.” The chicken said, “That’s a great deal.” The pig said, “Maybe for you…all you have to give is an offering, I have to give a sacrifice.” Not that is a cute illustration. But for the purposes of this article, it was a horrible illustration because it has absolutely nothing to do with any of the points at hand. A good illustration was the use of the Christian bag of gems in the preceding paragraph. It illustrated the point well. It used pictures and vivid details. Illustrations are not points in a sermon. Illustrations emphasize sub-points. They turn the ear into the eye. They are not meant to merely entertain the listener. As Chapell says, “Preachers who illustrate primarily to entertain ultimately destroy the foundation of their messages.” They are meant as connectors to the point at hand. Those who think that exposition simply involves the text, and not a proper foundation to explain the text, even using illustrations, ignore the importance of daily living in the listener’s life and are insensitive to their listeners. Preachers must involve the listeners or they will not learn. Then, after the explanation of the passage, the main points and sub-points, splashed with illustration, the preacher must give an application and conclusion. Here is where they copy Richard Baxter when he said, “Screw Truth into men’s minds.” The Word of God is a nail, the preacher is the hammer, and the hand is the Holy Spirit. Most of the time listener’s are more affected by the application and conclusion than any other part of the message. Parts of a good conclusion involve a concise summary of what was said. Here the preacher exhorts the listener to do what the sermon already made clear. But, first, the preacher must come under such application before it is given to the people. How are you affected by the sermon you are going to preach? If you are not moved by it, should you expect anyone else to be? Also, the preacher should never announce the conclusion. “This is my final point, etc. etc.” Rather, simply apply, and conclude. And after your conclusion, stop. Do not keep going when you are finished. The sermon does not need to be longer than its original intention. Why should Preachers handle the Word correctly? We are back to our original question. What are you going to feel like when you stand before God and give an account of your preaching ministry? Will you feel as though you have done a responsible job in communicating the mind of God to the people of God? Will you have exalted Christ over self? Or will you feel, ashamed? The information stated above is short, brief, concise and barely scratches the surface. It is more of a reminder of what we should be engaged in as preachers than how to do it. Preachers should always take time after sermons to think through what they could have done better, or how they will improve on the next sermon. If this short article simply does that, it would have accomplished it purpose.